This book is designed for foreign students at the elementary and intermediate levels. The book attempts, through examples and patterns, to explain structural features with which students typically experience difficulty in the course of their study of Chinese. Some chapters also contain notes on important points and common pitfalls. 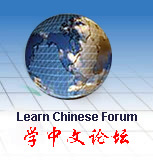 The grammatical explanations are given in Chinese with English translation, and example sentences are given in Chinese characters with Hanyu Pinyin transcription. An excellent reference book for Chinese language. Mr. Thomas Madden, Language Training Officer of the American Embassy, Beijing, helped with the English translation of the text of this book.